IN ESCROW and TAKING BACKUP OFFERS on this Beautiful Home!Are you looking for a newer, well-built home with high end features? Enjoy your own tropical oasis on this generous 10,000 sq ft residential property - big enough for an Additional Rental Unit (ARU). 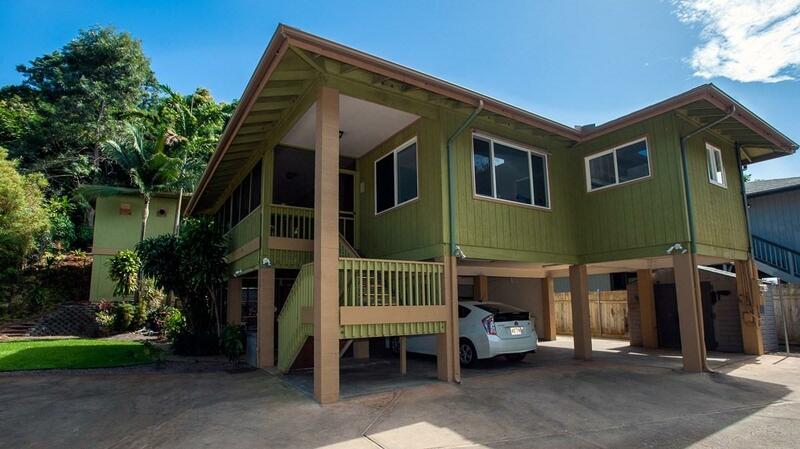 The main house, built in 2005, has 3 bedrooms, 2 bathrooms, a big enclosed lanai, and a newly remodeled kitchen with brand new appliances. The newer county building requirements mean this home was built strong. The back yard is graced by a spectacular custom gunite pool and spa (added in 2013). A separate, permitted utility shed of approx. 144 sq ft. can serve as a studio or possible ARU. The lush, terraced back yard has raised beds for gardening. 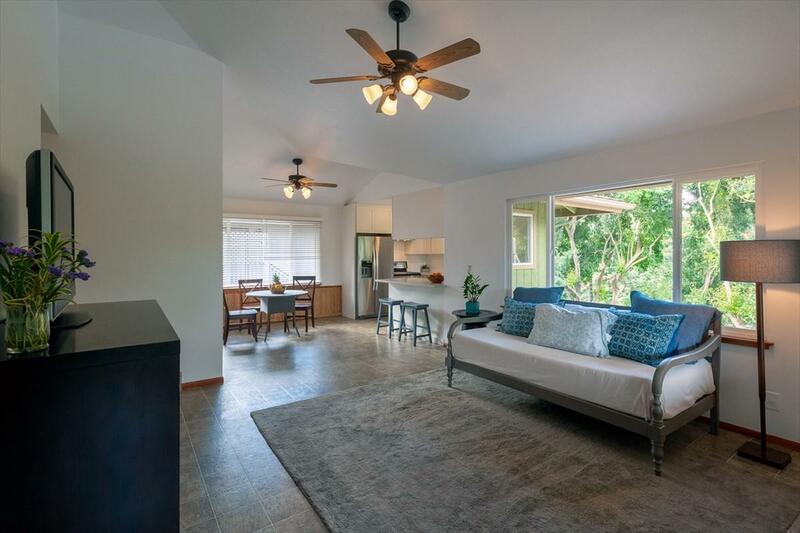 This property is in a prime location for access to Kapaa town!The stylish kitchen features quartz countertops stainless steel appliances. A large, screened lanai offers indoor-outdoor space and a view to the yard. 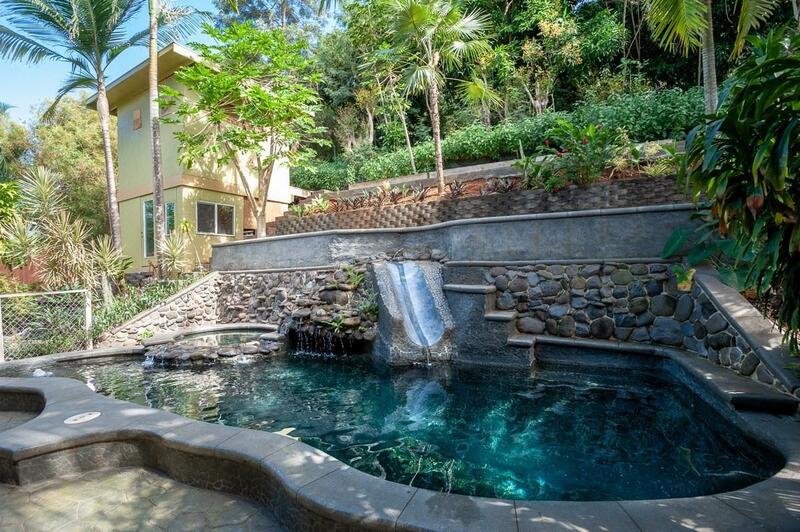 The pool is surrounded by artful stone and tile and has a waterfall, grotto, and slide! Adjacent is a lovely koi pond with waterfall and a Japanese-style cement bridge. The 1,032 sq ft house sits on pillars with a concrete foundation below allowing for many uses of the lower level, including the potential to add structure and square footage. Enjoy the potentials of this residential property - this is not agricultural land or a CPR. The lot size allows for a potential Additional Rental Unit (ARU) - buyer to do due diligence with County. 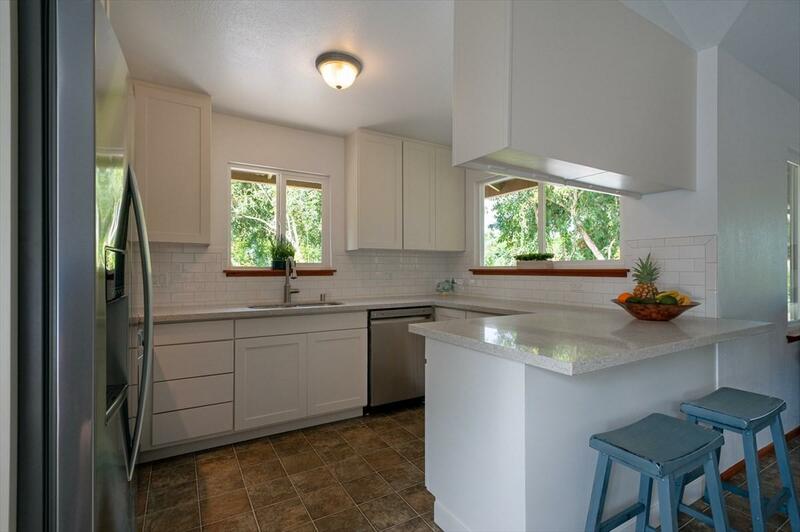 The recently inspected, pumped and upgraded septic system is large enough for 4 bedrooms. This allows potential for expansion - such as adding additional living area and/or a bedroom and bath. There is plenty of space and parking! The home is located on a private easement driveway shared by 3 homes. A large wall provides sound barrier and privacy from Hauaala Rd. Come see it!